The first day of Ramadan is traditionally marked by the sighting of the crescent moon with the naked eye, and is the ninth month of the Islamic calendar. Ebrahim Al Jarwan, General Supervisor at Sharjah Planetarium, said that according to calculations, Ramadan in the UAE is most likely to fall on Monday, May 6. However there is no confirmation yet, so stay tuned. When will Ramadan 2019 fall in UAE? Ramadan is regarded as the best month of the year for Muslims as it was the month in which the Quran was revealed to Prophet Mohammad (PBUH) on the night of Laylat Al Qadr, one of the last ten nights of Ramadan. 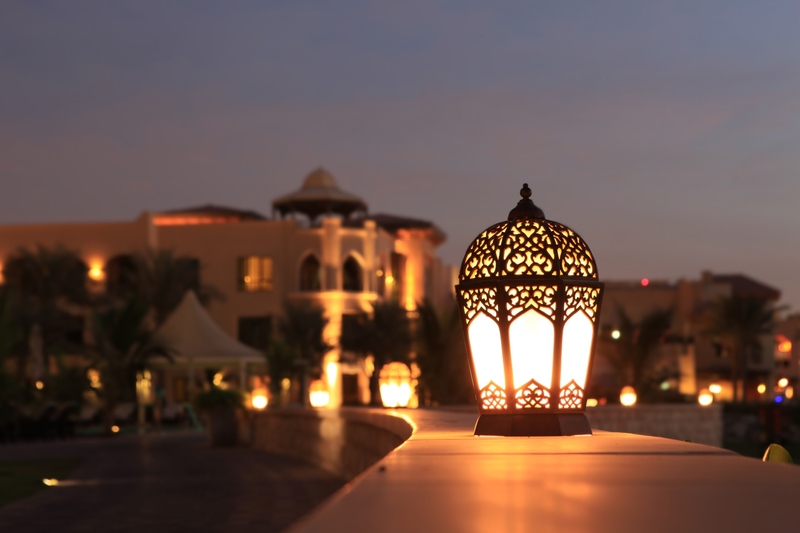 The annual observance of Ramadan is considered one of the 'Five Pillars of Islam'. Ramadan is the ninth month of the Hijri (Islamic) calendar. This year, according to the Gregorian calendar, Ramadan starts on May 27. Check daily prayer timings here on Guides. Ramadan lasts for one complete moon cycle, which is usually 29 or 30 days. The moon sighting determines the duration. Nowadays, astronomical calculations have started taking precedence over the age-old tradition of moon sighting by the naked eye to determine the dates. How do we know when it starts? A moon-sighting committee in Makkah, Saudi Arabia, will make an official announcement. Makkah is considered the holiest city in Islam. Not only was it the birthplace of Prophet Mohammad (PBUH), but also the location where Prophet Mohammad (PBUH) had his first revelation of the Quran. Because of this, the rest of the Islamic world follow Saudi Arabia’s announcement. How do you greet each other? Greet people by saying “Ramadan Kareem”. This roughly translates into “Happy Ramadan”. Adult Muslims are required to fast from dawn to dusk every day throughout Ramadan. Those who are ill, elderly, diabetic, pregnant, menstruating, or breastfeeding are not required to fast. Those who travel or are unwell during the period of Ramadan may fast on different days at a later point. Children are not required to fast unless they have reached puberty, although many still do out of choice. In addition to abstaining from eating, drinking, and smoking, Muslims also refrain from sexual relations as well as sinful speech and behaviour. During Ramadan, Muslims pray every night for 30 days, reciting different chapters each day until the Quran is completed by Eid Al Fitr. This is called the Taraweeh prayer, which is recited after Isha prayers mid-evening. Fasting redirects the heart away from distractions, with its purpose being to cleanse the soul by freeing it from impurities. Ramadan is also a time for Muslims to practice self-discipline, sacrifice, and empathy for those less fortunate. It encourages generosity and charity. When do Muslims break their fast? Fast may be broken at sunset before Maghrib prayers after ‘Azaan’ (call for prayers). This occurs just after sunset. Dates are traditionally the first food to be eaten each evening. The fast-breaking meal is called Iftar. Each morning before sunrise, Muslims engage in a pre-fast meal called 'suhour'. Afterwards, they start with the Fajr prayers. Ramadan ends after 29 or 30 days. Eid Al Fitr is the annual three-day celebration after the last day of Ramadan and it is considered a public holiday period. The government will announce the exact holiday dates nearer the time. Do non-Muslims have to fast? No. While Muslims don’t expect non-Muslims to fast as well, it remains important to show respect and follow basic etiquette in daily behaviour. Do not eat, drink, or smoke in public during the fasting hours. This includes chewing gum. Do not engage in public displays of affection, like hugging or kissing. Do not engage in any aggressive behaviour. Do not dance or play music in public. You may listen to music quietly with headphones. Do not wear inappropriate clothing in public. Dress respectfully. Men should avoid wearing sleeveless tops, while women should cover their shoulders and knees. Accept gifts, from a simple date to something more exotic, try to politely accept it. Further, if invited, it would always be an honour to join someone at Iftar. The penalty for not following the above etiquette can vary, with community service normally being favoured. Where can you eat, drink, or smoke? If you are not fasting, then you are free to eat and drink in the privacy of your own home, as well as in designated areas. Ask your employer where you can eat your lunch. The same goes with smoking. Some restaurants and cafes will be open during the day. You are free to frequent these. Food can be taken away and consumed in private. The standard work-day is reduced by two hours for all employees across all sectors, regardless of whether you are observing Ramadan or not. Usually, metros on the red and green lines start at 5.30am for Ramadan with the last trains at 12am on weekdays. The train service will be available from 10am on Fridays and 5.30am on Saturdays ending at 1am on both days. *This information is yet to be confirmed and is based on last year's timings. We will be publishing and updating this as soon as it is announced by RTA. Supermarkets and groceries are open as usual, and you are free to do your weekly shop as normal. There’s no denying the fact that driving during the day, particularly between 5pm and Iftar, is hazardous. Some fasting taxi drivers may have been working longer than they should have been and as a result they may be dehydrated and lacking the ability to concentrate properly. Only drive in the afternoons if you absolutely have to. If you are heading out around the Iftar time, then be advised that booking a taxi may not be so easy. A lot of drivers will be breaking their fast, so availability may be difficult. If you are planning on going out for Iftar then you should book a table in advance. Restaurants are understandably busy during Ramadan evenings. A lot of businesses change their hours for Ramadan. Malls remain generally open during the day and stay open later than usual – with the exception of food courts and restaurants. Some restaurants may remain open, but this will seldom be advertised. Bars generally open from around 7pm, and close earlier than usual. There will be no live music, but live sport on TV will still generally be shown. Ramadan is a charitable time, and giving to those less fortunate will be greatly appreciated. It doesn’t have to be money, but perhaps food for Iftar.